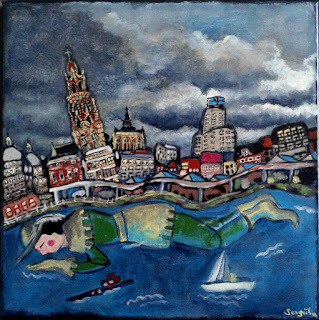 When I received the comission to make a painting about what Antwerpen meant to me, I immediately had thought about the skies over here, dark and cloudy, gets you depressed if you fail to see the beauty in them. There are many myths surrounding this city as well, like the one of Lange Wapper. 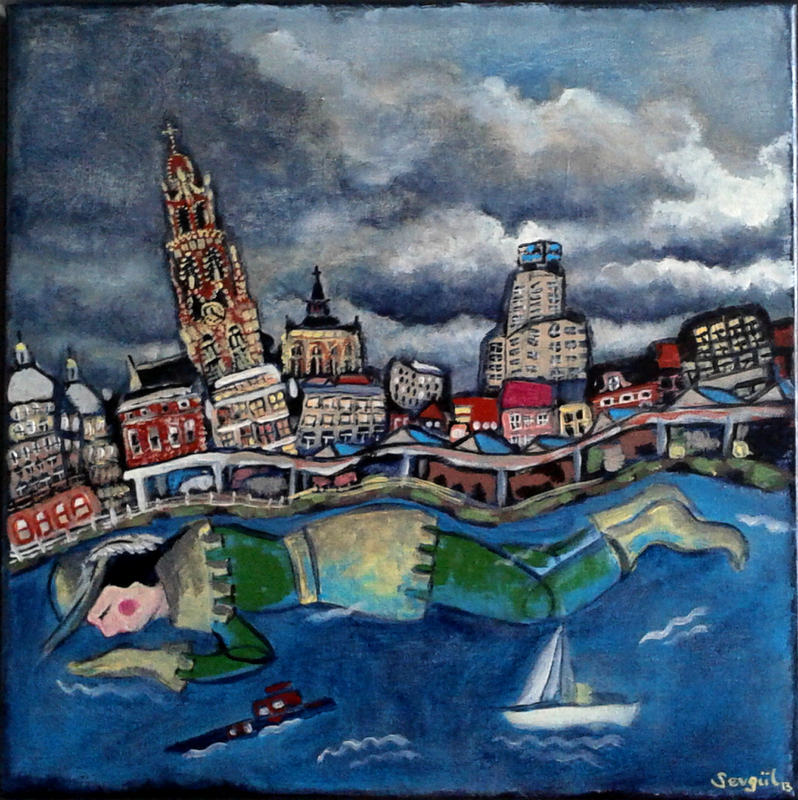 There are several versions of it but the one i love most is the one about a water spirit sleeping in the river Schelde. He occasionally comes out to play tricks on people. Dear Antwerp, we had a rough relationship especially in the beginning, but i am glad we came to terms with our differences. Wapper is on his way to his new owner in South Africa now. This is the first time a painting of mine is making it to the African continent :) Bon Voyage Wapper!